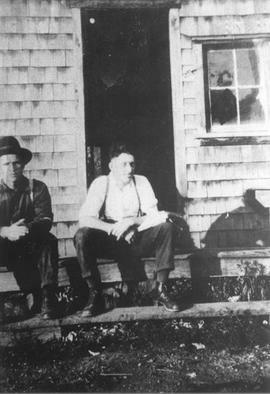 Robert Stewart (Bert) Rae (left) and Scott MacDonald (right) at bunk houses at Cheekye (now in the location of Fergies) in 1926. Mike Ross (left) and Bill Tutin (right) at bunk houses at Cheekye logging camp. 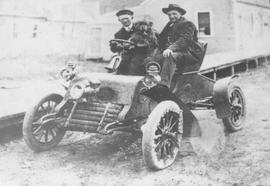 Left to right: Edgar Baynes, John Redford at Cheekye logging camp.